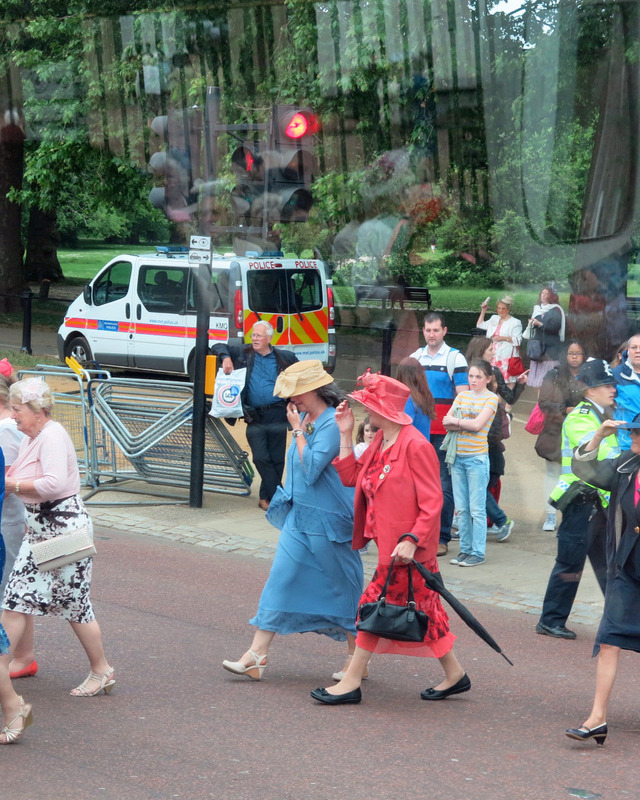 A Day to Remember: The Royal Garden Party | Crowlas & Ludgvan W.I. ← In the Pink at the Race for Life! 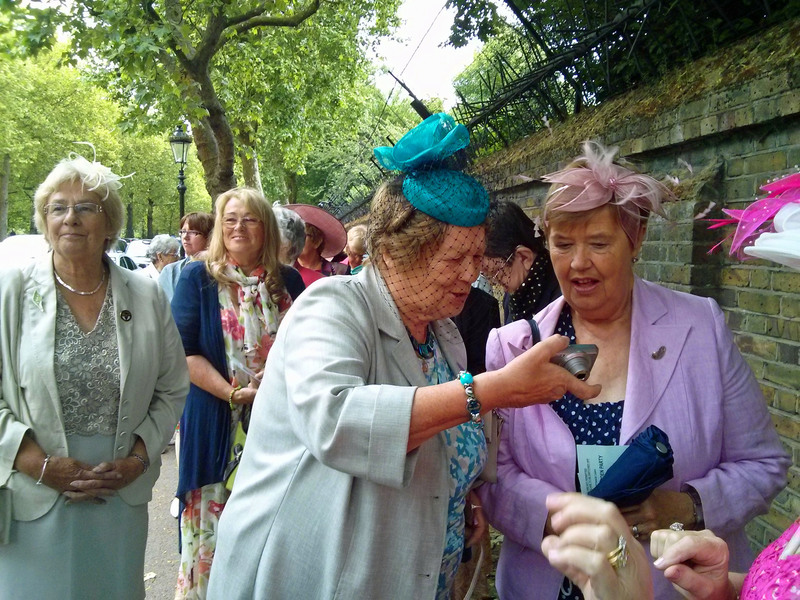 Colleen, Helen, Julia and Kathy represented Crowlas & Ludgvan WI at the Royal Garden Party at Buckingham Palace on Tuesday, and what a day we had! We left our end of Cornwall at the shocking hour of 5am, picking up excited ladies as we headed north. 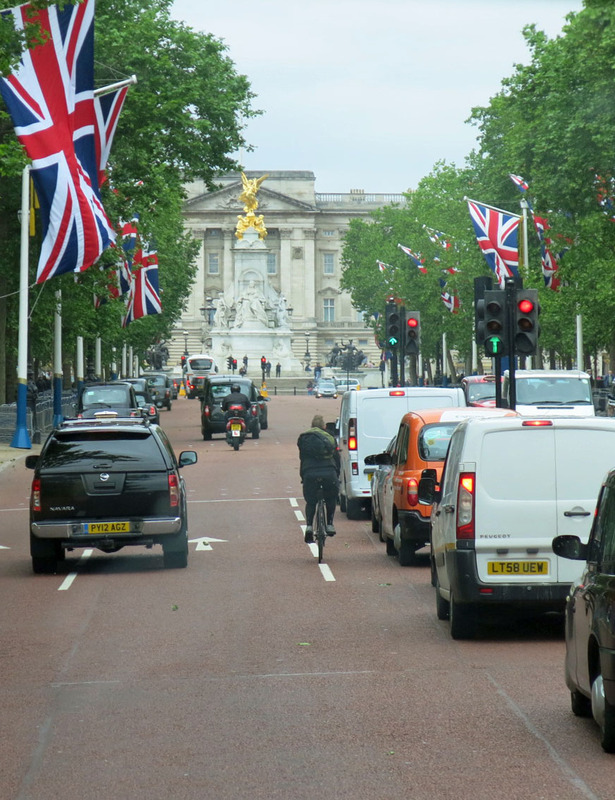 The atmosphere grew more and more festive the closer we got to London, particularly after our last comfort stop when we all changed out of our comfy clothes and into our garden party finery! 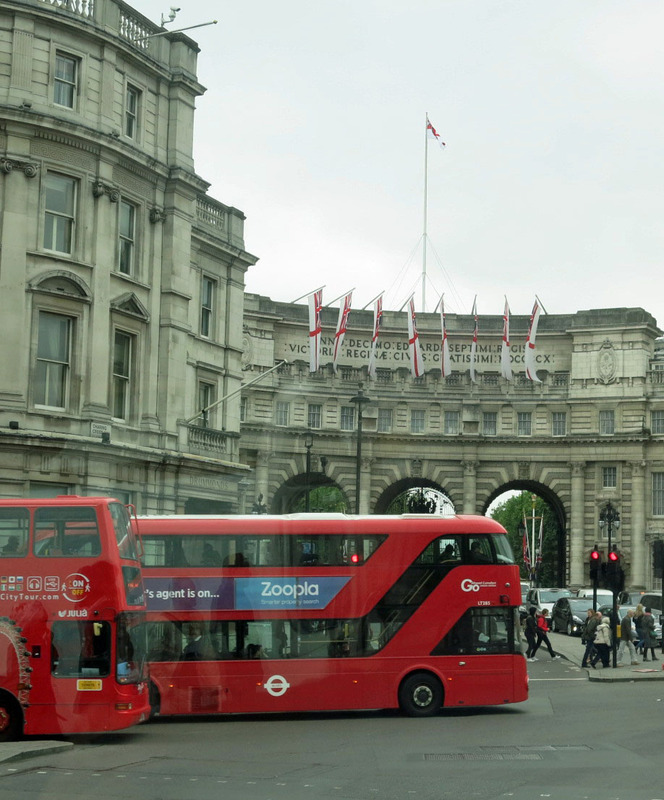 The weather was dreadful during our journey, but amazingly began to clear as we got to London. Though there was still no sunshine. The weather didn’t look promising! 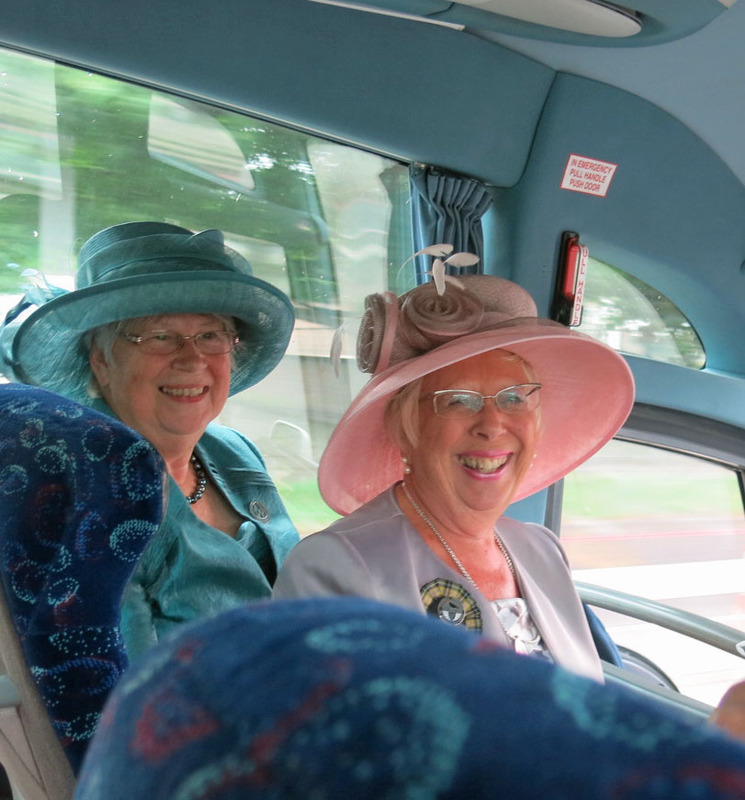 Excitement reached a fever pitch as we approached the Mall! 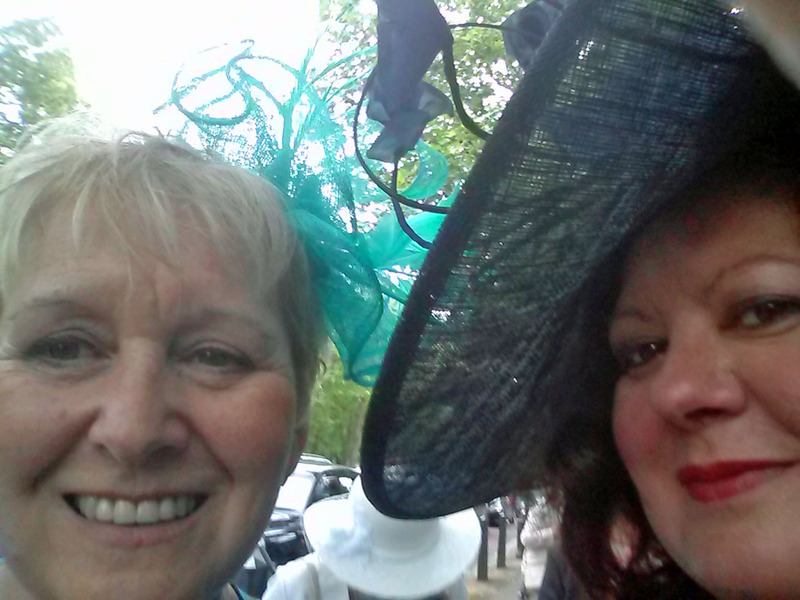 Everywhere you looked were ladies in hats! We queued up and were finally IN! The gardens looked beautiful and we all had a quick wander around with a glass of lemon barley before forming ‘lanes’ for the royals. 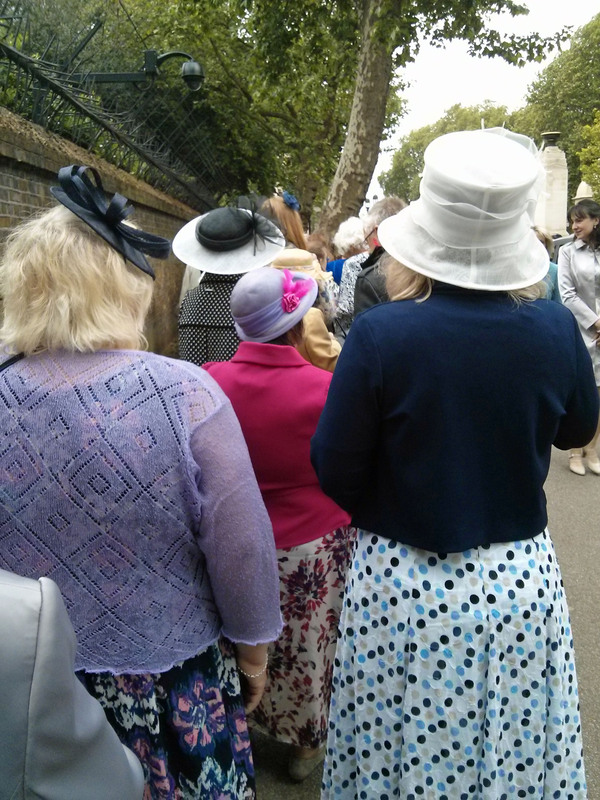 The Duchess of Cornwall, the Countess of Wessex, Princess Alexandra and the Duchess of Gloucester were all there – some of us were lucky enough to get a handshake and a few words! 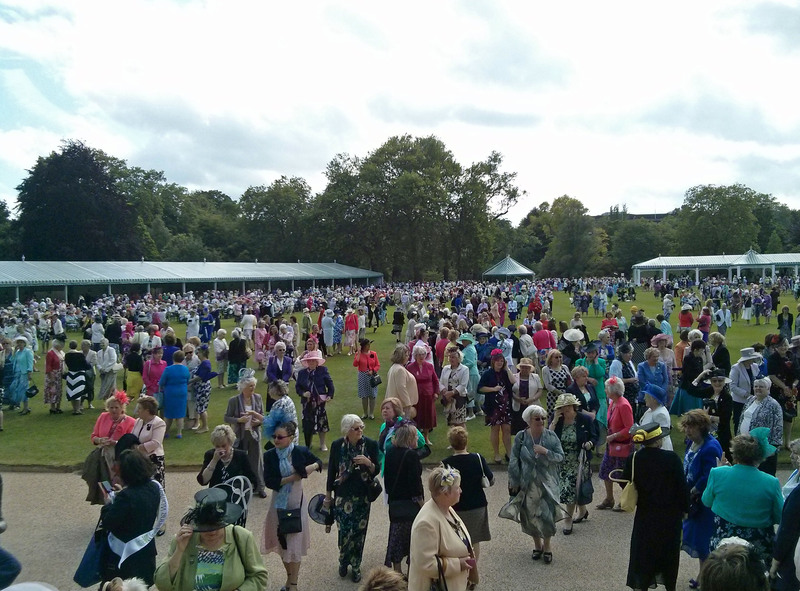 After that, we headed to the tea tents where there were sandwiches, cakes and tea on offer. There was time for another look around the garden’s beautiful roses before heading back to the coach for our trip home, arriving back in Cornwall in the wee hours of the morning. It was a long day but an amazing one; a true once-in-a-lifetime experience! 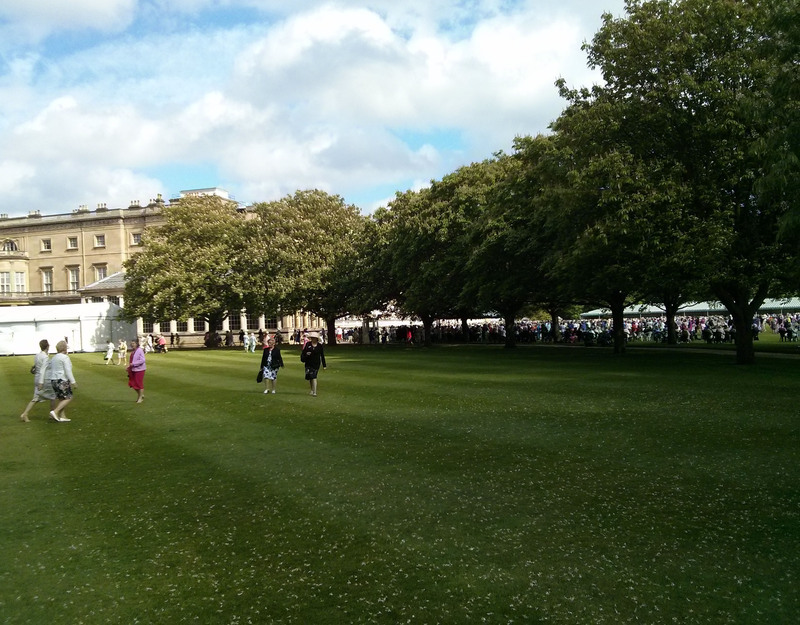 Apologies for the very few photos inside the Garden Party, but we were seriously law-abiding (for the most part) and followed the Palace’s No Photography rules quite closely until we realised that everyone else had their phones and cameras out! 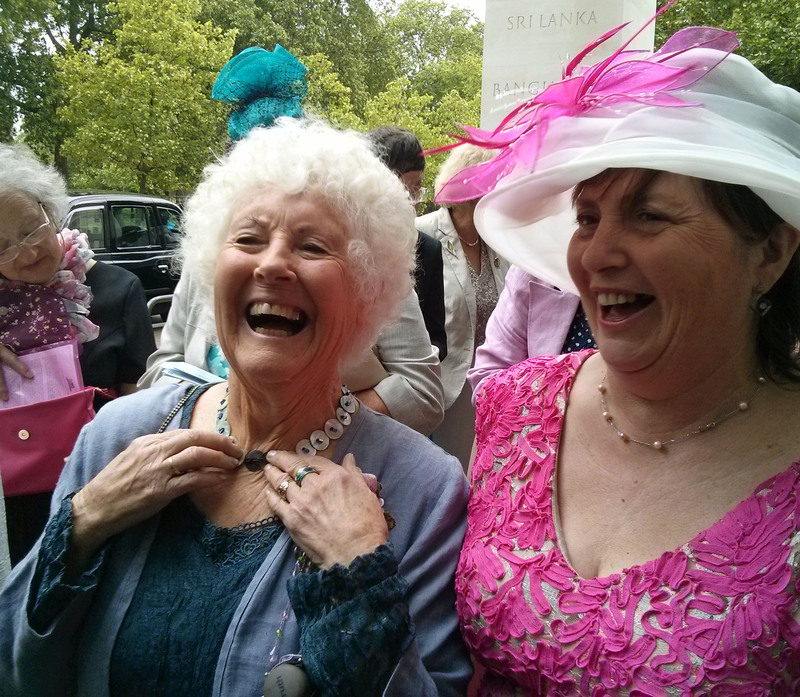 This entry was posted in Uncategorized and tagged Buckingham Palace, centenary, CFWI, London. Bookmark the permalink.